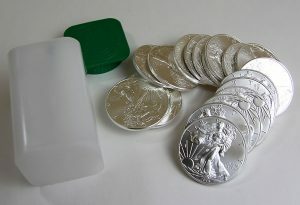 The United States Mint reduced its weekly allocation of American Eagle silver bullion coins for a second straight week. The agency has restricted sales of the coins since their return after temporarily selling out in July. This week’s allocation dipped 3% to 970,000 coins. Last week’s amount fell 7% to 1 million coins from the prior week’s supply of 1,075,000 coins. Through most of the summer, the week’s allotment has disappeared within two days. That wasn’t the case last week as buyers left 70,000 on the table, ordering 930,000 of the available 1 million. The supply the week before then was taken but it took four days. 2015 American Silver Eagles remain on track for an annual record. Sales at 38,059,500 coins are 8.1% higher than through the same time last year. In 2014 when the record hit 44,006,000, the coins through Oct. 16, 2014 registered sales of 35,201,000. The U.S. Mint also limited buying opportunities last year but not during the summer months. 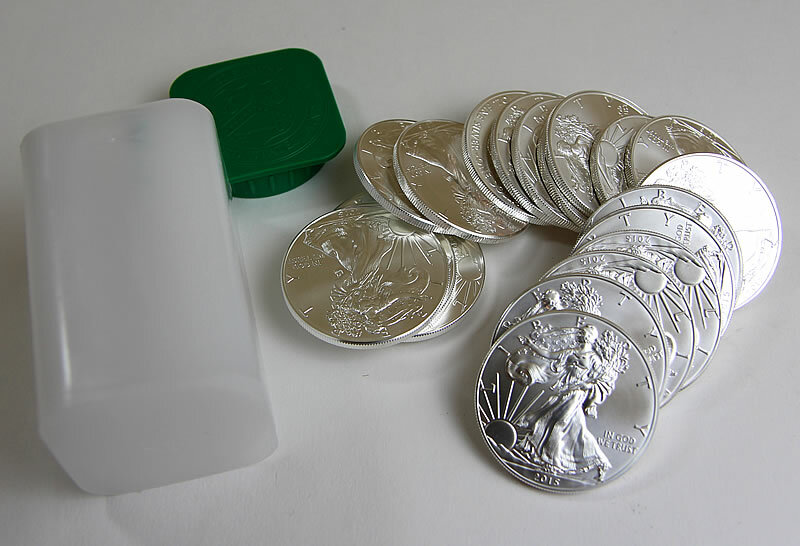 The Mint does not sell bullion Silver Eagles directly to the public. They are sold through a network of authorized purchasers. AP’s consist of major coin and precious metals dealers, brokerage companies, and other participating financial intermediaries. They must pay $2 more than the spot value of each coin they buy. I guess we get not Platinum Coins this year. Probably because the spot was to low. I just hope there’s enough Silver for next year and that the Mint comes up with some nice 30th anniversary Silver Eagles like other Mints make. A set of Proof Fractionals, a 5 or 10 high releif Proof and others.